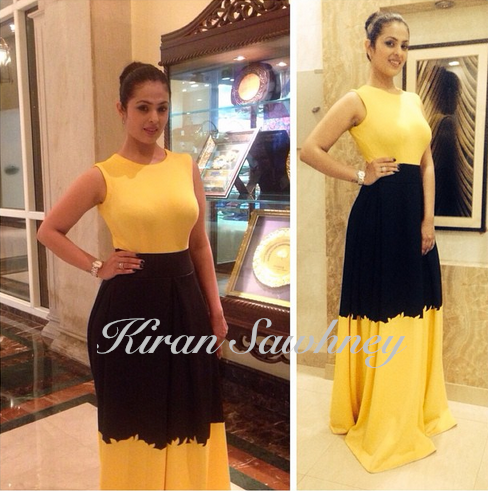 Anjana Sukhani was in Mayyur Girotra Luxury pret, last evening at Time Food Awards. This color blocked outfit does not strike a chord with us. Nay.